Valve Filter VF-1, Software Filter from AudioThing. The new AudioThing plug-in is a VST and AU multimode filter with built-in vintage tube emulation. 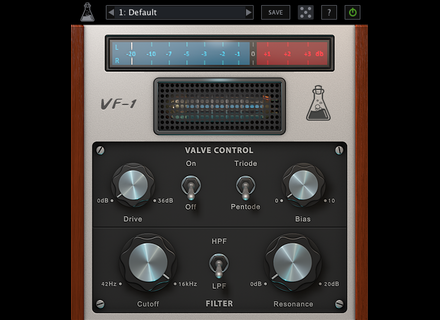 The Valve Filter VF-1 plug-in features a filter section modeled on a classic ladder filter with two high-pass and low-pass modes. AudioThing also modeled Telefunken ECC83 tubes and added a gain/drive control. You’ll also find a preset manager with a randomization function. 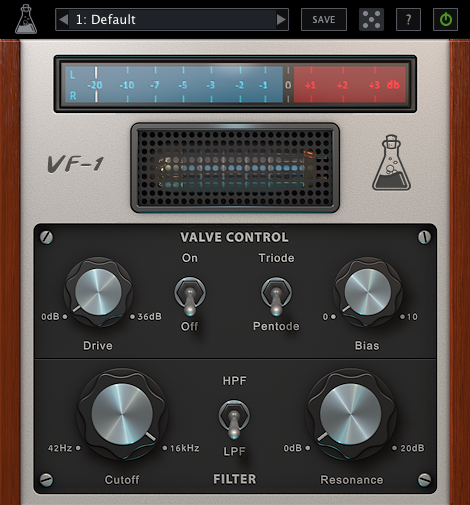 The Valve Filter VF-1 is available in VST and AU 32 and 64-bit formats for Mac OS X and Windows. It retails for 25€ and you can listen to demos at www.audiothing.net. PreSonus celebrates Cinco de Mayo This special was the occasion for PreSonus to launch a 24-hour sale on five products, each sold for $5, including Studio One Artist and Progression.